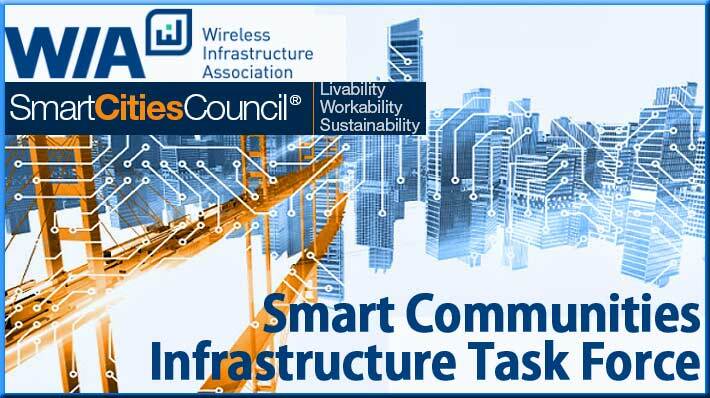 The Wireless Infrastructure Association(WIA) and the Smart City Council (SCC) announced today the creation of the Smart Communities Infrastructure Task Force with a primary objective of educating and empowering communities and stakeholders as they work to deploy the wireless and wireline broadband networks that are essential to smart city applications. The Task Force will hold two kick-off meetings: one at Smart City Week October 3 – 5 (http://smartcitiesweek.com/) and one at WIA’s HetNet Expo October 10 – 11 (www.hetnetexpo.com). For more information on the Smart Communities Task Force, contact WIA’s Jeff Hannah at jeff.hannah@wia.org.